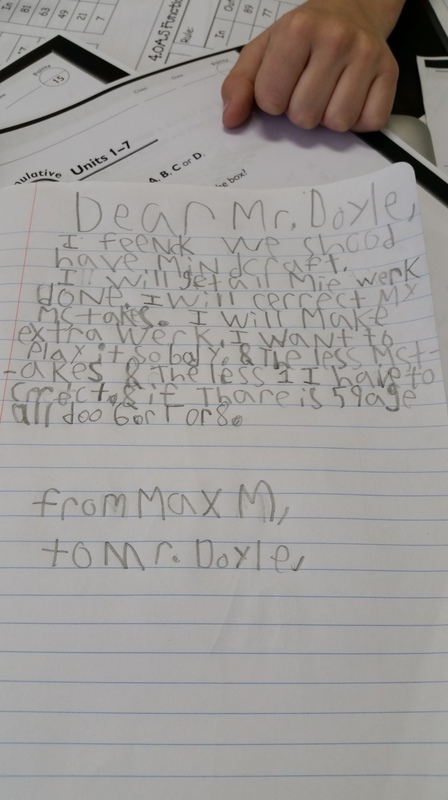 MGM’s (7) second grade teacher sent me this letter to his principal. Not sure how successful this endeavor will be. I think we should have Minecraft. I will get all my work done. I will correct my mistakes. I will make extra work. I want to play it so bad. The less mistakes, the less I have to correct. If there are 5 pages, I’ll do 6 or 7 or 8. Perhaps if he starts with correcting his spelling, this will have a better chance at working out. I’ll give it to the kid, though, for showing some nice moxie.